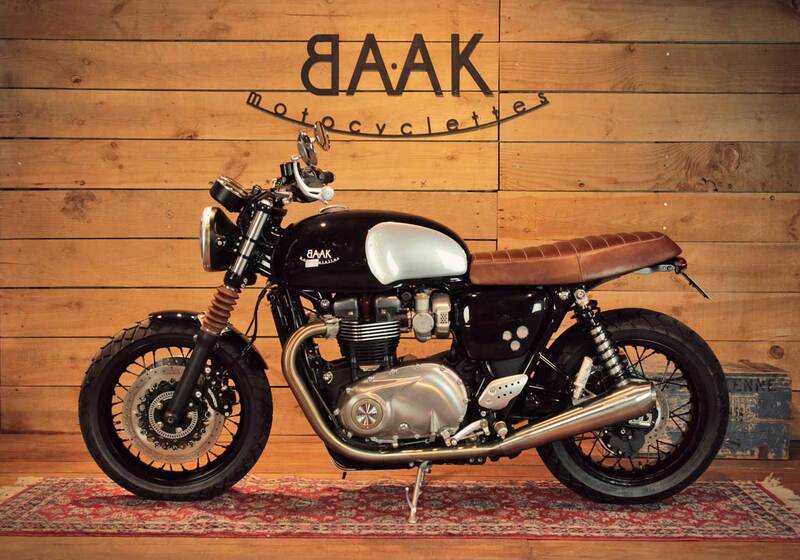 BAAK Motocyclettes, which was founded in 2012 by Rémi Réguin, produce some of the coolest off-the-shelf accessories available for the humble Hinckley Triumph Twin. 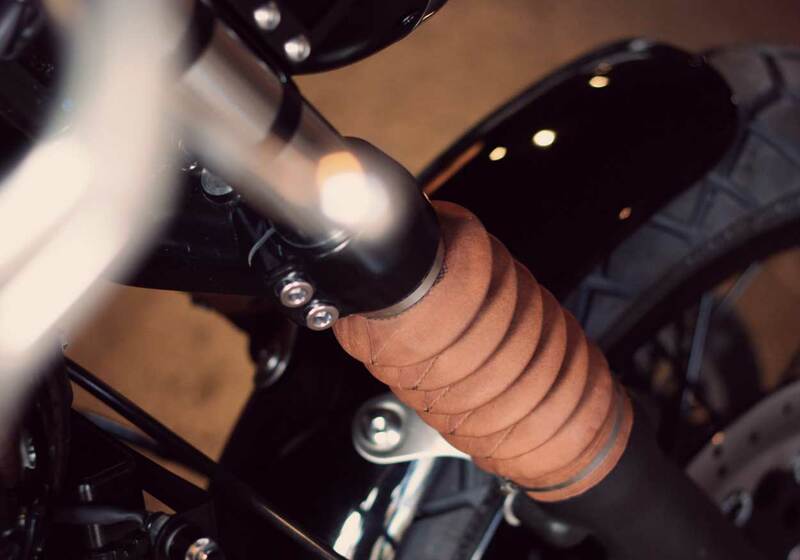 When these accessories are brought together, they have a habit of turning a humble motorcycle into one not out of place at a Paris fashion show. 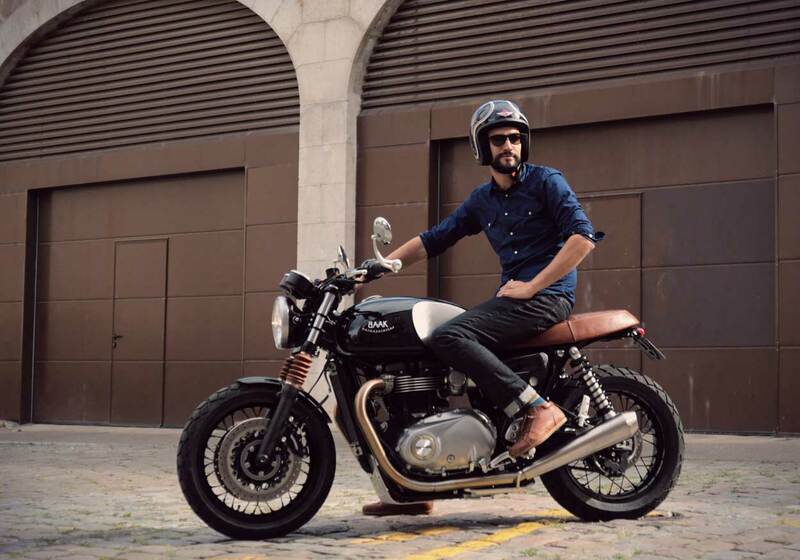 These builds include the Bonneville Alliance, a custom Triumph Twin fitted with a Precision side-car, a build which just may be one of my all time favorites. 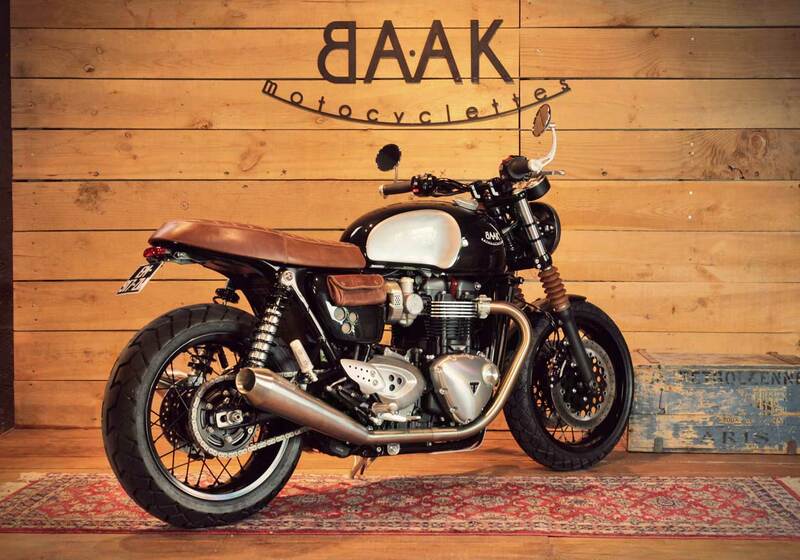 A new liquid cooled 1200cc Thruxton forms the basis of BAAK Motocyclettes latest work, a machine gasping for some added style….. As Rémi Réguin explains…. 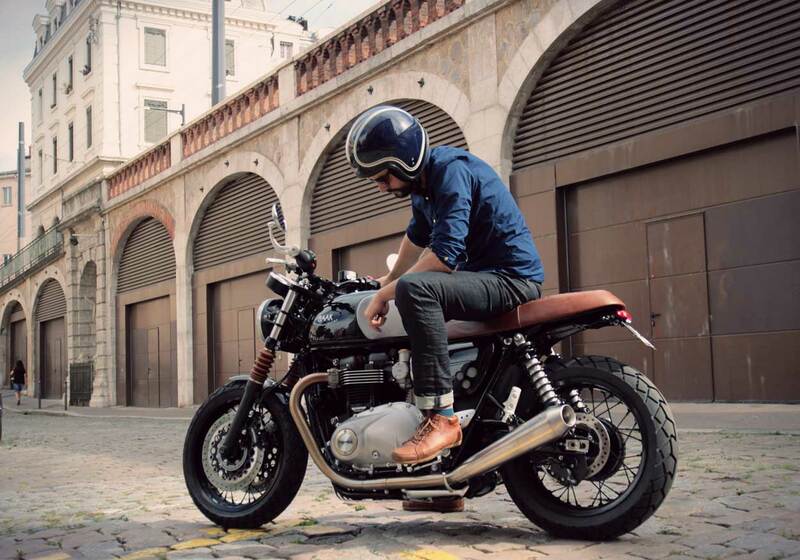 “The stock 1200cc Triumph Thruxton is a really nice machine, but for our French Customer, it wasn’t a practical daily rider due to its riding position.’ “We needed to make it more comfortable and improve the handling at low speeds while remaining close to its original lines. 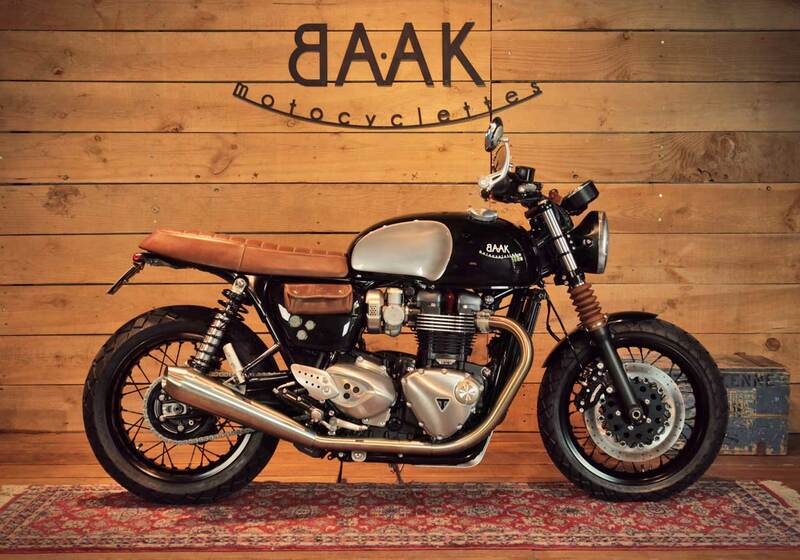 The goal was to make this bike enter another dimension and not get stuck in a cafe racer style…. 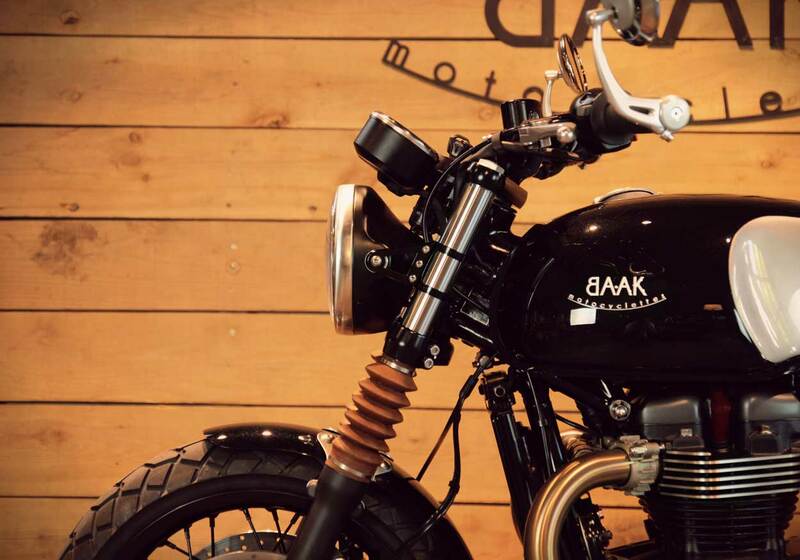 “”Our work started with the creation of fork triple trees to lower the front end of the bike, then to fit machined aluminium bar clamps and a high classic handlebar”. “It makes the bike look more like a Tracker, and is way easier to handle. We proportionally lowered the rear end with Big Body short Shock absorbers developed in collaboration with the Shock Factory. A French shock absorbers specialist, and ex-EMC shocks employee with whom we’ve been working with for the last 4 years. “Contrary to the stock setup, it’s adjustable, 1.5cm shorter and offers a better finish. 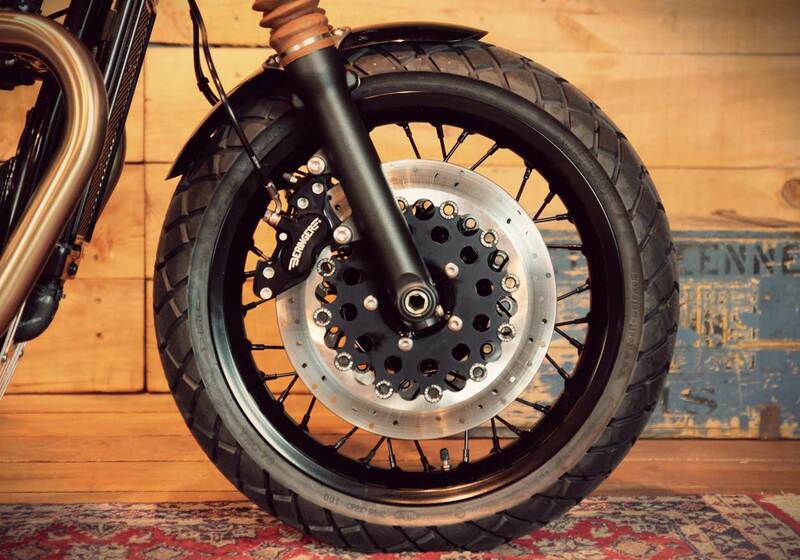 It also levels and lowers the Thruxton center of gravity, making it the bike more comfortable. 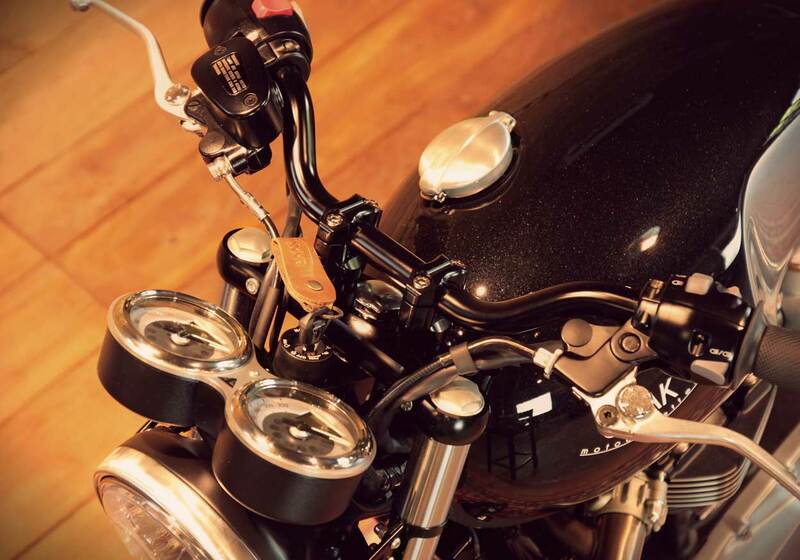 “”We also focused on making this Triumph appear more compact and aggressive, achieved by fitting our rear fender eliminator, a flat steel headlight, aluminium headlight brackets, and relocating parts like the Mini Motogadget LED blinkers and the regulator. The Beringer brake discs and calipers, aluminium engine protection and the Continental TKC 70 tires finish off the Twins aggressive look. 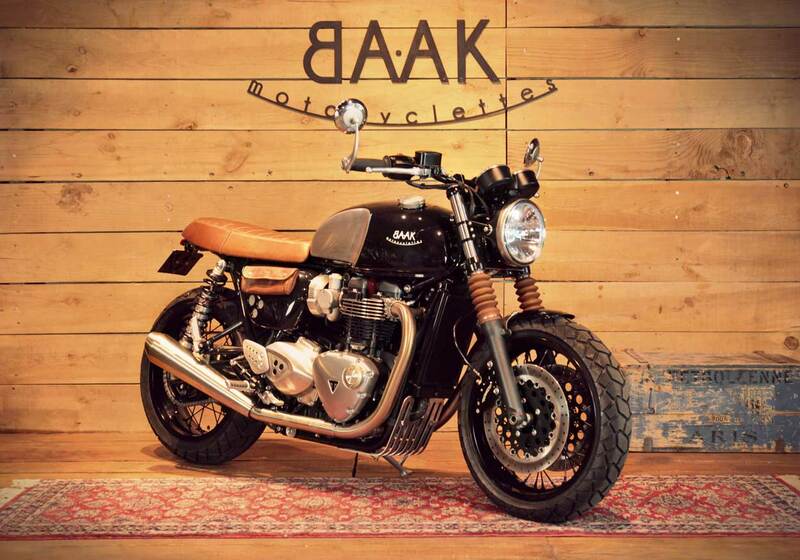 “Truly to our BAAK spirit, we wanted to give a chic touch to soften the sporty side of that build. 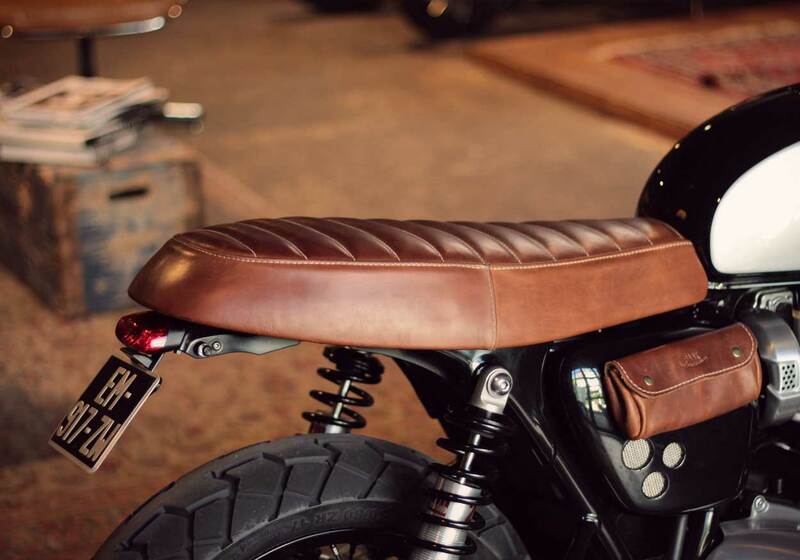 We created a flat aged brown leather seat using the stock seat pan and building a new foam that would bring more comfort to the rider. 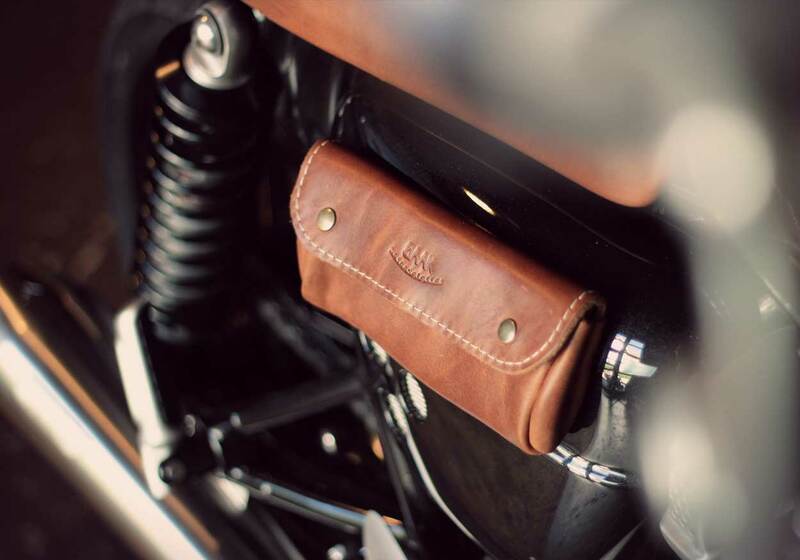 A small leather side bag enables him to empty his pockets before hitting the road.